Mara Tippett has a simple message for local residents whose household water comes from wells: Test your wells! Four out of five people living in the upper Raritan River watershed region get their water from private wells, but only a small percent get their wells tested regularly. Tippett is working to change that by partnering with municipalities to get the word out. 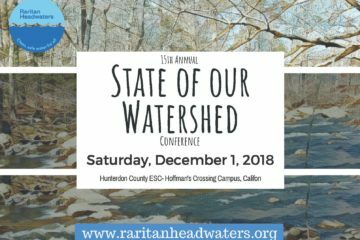 Throughout the spring, Raritan Headwaters will co-sponsor “Community Well Testing” events with 13 participating municipalities in Hunterdon, Somerset and Morris counties. This provides convenience for residents, who can pick up test kits and drop off water samples within their towns. The first community well test event will be held in Bridgewater on March 30, and the last will be in Far Hills in early June. 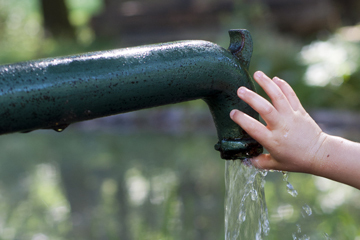 The most common well tests are for coliform bacteria and nitrates, but residents may also test for lead, arsenic, pesticides, radon, gross alpha (naturally-occurring radiation) and chromium. Testing is done by a certified laboratory that works with Raritan Headwaters. Alexandria Township – Residents can purchase well test kits on Saturday, April 20, from 9 a.m. to noon at the municipal building, 242 Little York Mt. Pleasant Rd, Milford. Drop off water samples at municipal building on Monday, April 22, from 7 to 9:30 a.m.
Bedminster Township – Purchase well test kits on Saturday, June 1, from 9 a.m. to noon at the Bedminster Township Municipal Building, One Miller Lane. Drop off well samples at the municipal building on Monday, June 3, from 7 to 9:30 a.m.
Bernardsville Borough – Purchase well test kits Monday, April 1, through Friday, April 5, from 9 a.m. to 4 p.m. at Bernardsville Borough Hall, 166 Mine Brook Road. 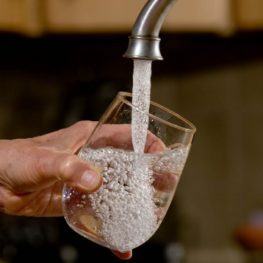 Return water samples to the Borough Hall on Thursday, April 11, between 7:30 and 9:30am or Thursday, May 2, from 7:30 to 9:30 a.m.
Branchburg Township – Purchase well test kits on Saturday, May 11, from noon to 5 p.m. at White Oak Park, 235 Baird Rd, Branchburg. Return well samples on Wednesday, May 15, from 7 to 9:30 a.m. at the Branchburg Township Health and Recreation center, 34 Kenbury Road, Branchburg. Bridgewater Township – Residents can purchase test kits Saturday, March 30, from 9 a.m. to noon at the Bridgewater Municipal Building, 100 Commons Way, Bridgewater. Drop off water samples at municipal building on Monday, April 1, from 7 to 10 a.m.
Chester Township – Purchase well test kits on Saturday, April 6, from 9 a.m. to noon at The Barn at Highlands Ridge, 100 North Road, Chester. Well samples must be returned on Monday, April 8, from 6:30 to 9:30 a.m. at The Barn at Highlands Ridge. East Amwell Township – Purchase well test kits between Monday, April 1, and Friday, April 12, from 8:30 a.m. to 3 p.m. at the municipal building at 1070 Route 202/31, Ringoes. Return well water samples to the municipal building on Tuesday, April 16, from 7 to 9:30 a.m.
Far Hills Borough – Purchase well test kits Monday, June 3, through Wednesday, June 12, from 9:30 a.m. to 2:30 p.m. at Far Hills Borough Hall, 6 Prospect Street. Return well samples to the Borough Hall on Thursday, June 13, from 7 to 10 a.m.
Franklin Township (Hunterdon County) – Purchase well test kids on Monday, May 13, through Friday, May 17, from 8:30 a.m. to 3:30 p.m., and Tuesday, May 16, from 6 to 7:45 p.m. at the Franklin Township Municipal Building, 202 Sidney Road, Pittstown. Return well samples to the municipal building on Monday, May 20, from 7 to 9:30 a.m.
Lebanon Township – Purchase well test kits on Saturday, May 11, from 9 a.m. to noon at the Lebanon Township Municipal Building, 530 West Hill Road, Glen Gardner. Return water samples to the municipal building on Monday, May 13, from 7 to 10 a.m.
Mount Olive Township – Purchase well tests on Saturday, May 18, from 9 a.m. to noon at the Mount Olive Township Municipal Building (cafeteria), 204 Flanders-Drakestown Road, Budd Lake. Return water samples to the municipal building on Monday, May 20, from 7 to 10 a.m.
Union Township – Purchase well test kits on Saturday, May 4, from 9 a.m. to noon at the Union Township Municipal Building, 140 Perryville Road, Hampton. Return water samples to the municipal building on Monday, May 6, from 7 to 10 a.m.
Washington Township – Well test kits can be purchased on Saturday, April 27, from 9 a.m. to noon at the Washington Township Department of Public Works, 54 Rock Rd, Long Valley. Return water samples to Washington Township Municipal Building, 43 Schooley’s Mountain Road, Long Valley, on Monday, April 29, from 7 to 9:30 a.m.
Area residents whose towns aren’t participating may go to a neighboring town’s well testing event, or purchase test kits and drop off samples at Raritan Headwaters’ main office at 2121 Larger Cross Road, Bedminster, or its Flemington office in the Deats Building at 124 Main Street, Flemington. 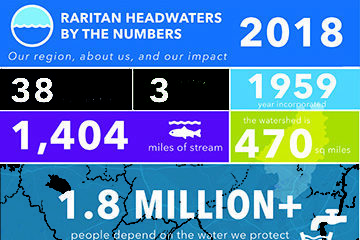 For more information on well testing, visit the Raritan Headwaters website at https://www.raritanheadwaters.org/event-category/cwt/ or contact Mara Tippett at welltesting@raritanheadwaters.org or 908-234-1852, ext. 401.